John O’Neill undertook this project using the roundtable approach to secure an effective cost plan, define the scope of work, agreed design and to complete detailed negotiations with Camden and English Heritage to achieve Listed Building consent. The project included structural strengthening, renewal of all services, including energy saving controls and the restoration of original 1810 ceilings, along with upgrading the rear courtyard garden. 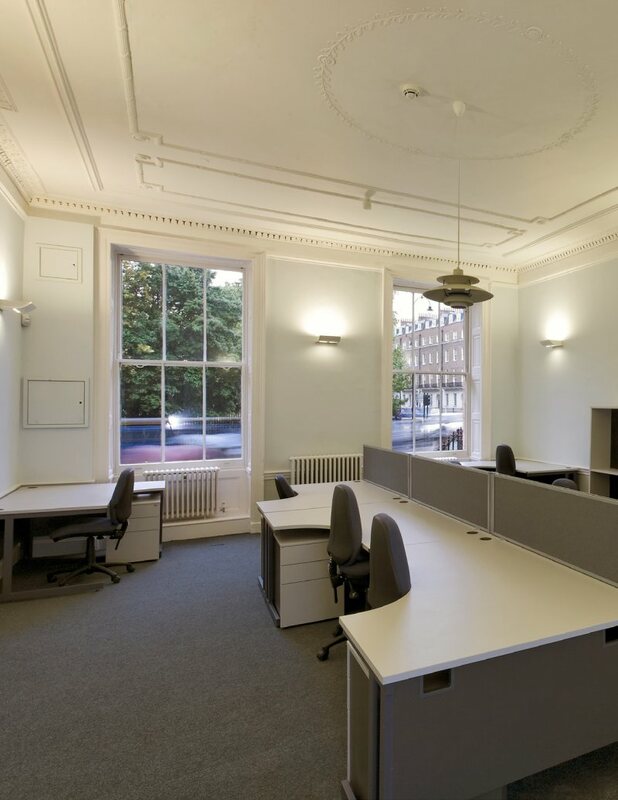 Works to this fine grade 2* listed building included the creation of new offices, lecture rooms and service facilities for University use. Existing internal timber columns were removed and existing timber beams were strengthening while original and unique 1810 ceilings and other conservation details were restored.